Bob Woodward will appear at College Street Music Hall. 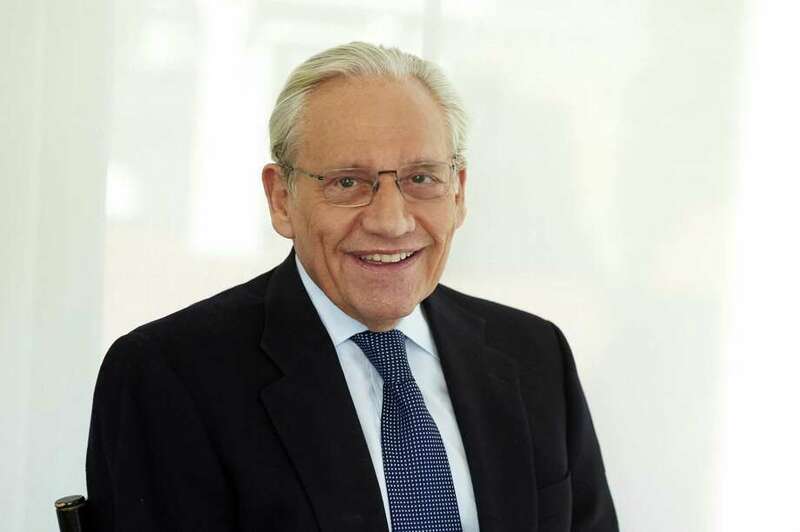 Journalist Bob Woodward has a couple of Pulitzer Prizes, and his Watergate coverage with Carl Bernstein helped bring down a lying and conniving president. His latest book, “Fear: Trump in the White House,” is a brisk read about another president who has issues with the truth. Cut to New Haven, where Woodward will appear on stage Jan. 22 at the College Street Music Hall to talk about the chief executive who dominates most news cycles in America. But it was not at Yale in New Haven, where Woodward graduated in 1965, that Bob Woodward first was inspired to expose the secrets of the rich and powerful. Woodward spent five years in the Navy after college, including his final year in the Pentagon from 1969 to 1970 and “saw the top-secret bombing reports showing that it wasn’t really working, to say the least” in Southeast Asia, while military and political leaders were saying it was effective. “There was a disconnect between perception ... what people are seeing, and a harder reality,” said Woodward, who went on to work in journalism at the Washington Post, where he still has the title of associate editor. The president tweeted in November that we’re losing hundreds of billions in helping the military in other countries and in trade deficits, “and that’s just not true,” said Woodward. Will lawyer Michael Cohen’s testimony get to the president? Wait and see, Woodward said. And that was before the recent government shutdown over a border wall. Woodward said he’s been traveling around a lot doing talks about the book, such as the one in New Haven, “and it’s stunning the divisions in the country. I mean, there are just people, somebody told me in a bookstore, (who) would come in and take my book and turn the display around,” he chuckled. In the book “Fear,” Woodward quotes top officials calling the commander-in-chief a “moron” and “a professional liar.” We asked Woodward if anything similar happened in the Obama book. Woodward was able to get documents and notes to corroborate his information, he pointed out. The answer, for now, is patience, said Woodward. In the meantime, Trump still controls the executive branch, has great influence in the Supreme Court and the Senate. And the House of Representatives typically doesn’t distinguish itself conducting investigations. College Street Musical Hall, 238 College St., New Haven. Tuesday, Jan. 22, 7:30 p.m. $55-$30. 877-435-9849. collegestreetmusichall.com.